Hugh Grant and Hugh Bonneville star in this family comedy sequel based on the popular children's books written by Michael Bond. Now settled in London and living with the Brown family in Windsor Gardens, Peruvian bear Paddington (voice of Ben Whishaw) has begun building a reputation as an upstanding member of his new community. 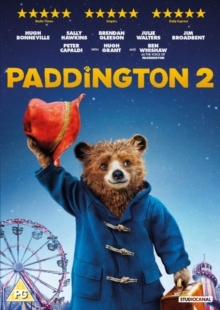 After spotting a unique pop-up book which he thinks will be a perfect present for his Aunt Lucy (Imelda Staunton)'s 100th birthday, Paddington sets out to complete a number of odd jobs in an attempt to raise enough money to buy it. However, when the book is suddenly stolen, Paddington and the rest of the Brown family must work together in order to catch the thief and recover the book before Aunt Lucy's big day comes around. The cast also includes Jim Broadbent, Julie Walters and Sally Hawkins.